We accept many of the major dental insurance plans. We will gladly fill out all paperwork for you and send it directly to your insurance company. However you are responsible for any unpaid balance. Insurance plans differ, and it depends what "benefits" your plan offers you. You can call your provider before the start of your treatment in order to get an estimate of what they will cover. If you have dental insurance we will submit your claim for you. If we are not a provider, most of insurance companies will reimburse you within four to six weeks. Payment Plans which can be divided throughout the time of your treatment. We try to work out a payment plan for you that is affordable, ask us how we can help you. 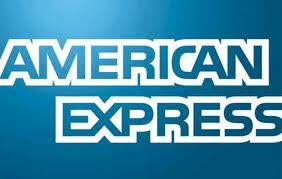 We accept American Express, Visa, Master Card, and Discover. 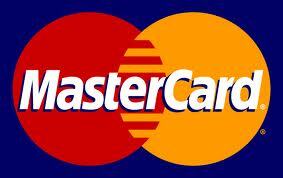 Debit Cards are also accepted. What is the difference between in-network and out-of-network provider and how it affects my payments? Sometimes what dental insurance companies pay is less than what your provider (dentist) charges. In that case, your dentist may require you to pay the difference. This is true even if you have reached your plan's out-of-pocket maximum. Example: You use a doctor who is not in Aetna's network, but accepts your insurance. The doctor charges $120 for a service. The doctor sends the claim to Aetna. Your plan covers 70 percent of the "reasonable," "usual and customary" or "prevailing" charge (this fee is chosen based on what general dentists charge, as well as the cost of the least expensive labs, and dental materials). Let's say the prevailing charge is $100. And let's say you already met your deductible. Aetna would pay $70. You would pay the other $30. Your doctor may bill you for the $20 difference between the prevailing charge ($100) and the billed charge ($120). In this case, your doctor could bill you for a total of $50. Keep in mind you pay the extra money for the “quality” of care, and the best materials in the market. I highly recommend you to ask for what is being used, and get a copy of the certificate for that material, so if you want to, you can go online and research on it. Feel free to ask Dr. Noohi to show you clear examples of how this can affect you, your health, and the longevity of your treatment. We believe the more you know as a patient, the easier it is for us to provide the highest level of care.